Sky Sports have announced a new deal with Formula One Management, securing exclusive rights to broadcast Formula 1 in its entirety. 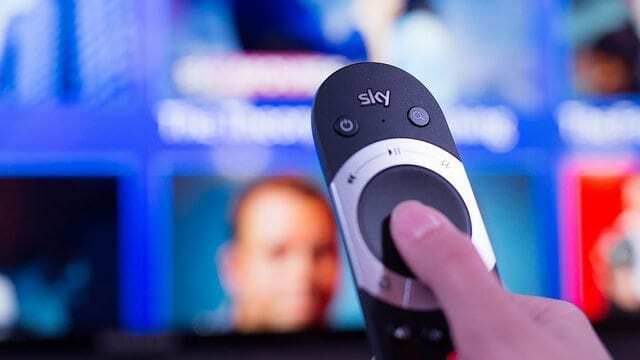 Rather than sharing the deal with free-to-air broadcasters as they have done recently, Sky will control the full package, meaning F1 fans in the UK will need to pay up to continue watching the sport they love. There are some caveats to the deal. Sky have agreed to show the British Grand Prix in full on an as-yet-unconfirmed free-to-air channel, along with highlights of all other qualifying sessions and races. Two additional races have been promised to broadcast free-to-air per season. This is particularly bad news for Channel 4, who have only just taken over the broadcast rights from the BBC, and have only managed to air one weekend of highlights packages so far. The new broadcaster also revealed today they peaked at 2.7 million viewers for the Australian Grand Prix, which feels very low despite it being a shared race with Sky. Channel 4 have a three year deal, with the Sky Sports exclusivity set to take over in 2019. It's also terrible news for the fans that simply can't afford to pay Sky's prices. The broadcaster have opened up their pricey subscriptions to more people with day and monthly passes, but this new deal will likely alienate a huge section of the UK viewing public. Not to mention those that rely on the positivity of F1 fans in the UK. Long-time Sidepodcast listener Will tweeted today, "I apologise when I stop reading your website or listening to your podcasts because I'm no longer watching any racing..."
On the plus side, those that can afford it or are willing to pay Sky for access, are promised Ultra High Definition coverage for the very first time next year. F1 in 4K will look absolutely stunning if your technology and budget allows. Conversely, there's no word on whether the slim amount of free-to-air content will even be shown in high definition. This is very much another money-grabbing play by those in charge of Formula 1 - coming the same day the Grand Prix Drivers' Association issued an open letter criticising recent decisions and hoping for a change in the way the sport has been governed. The farcical nature of choices made and unmade in the build up to the Australian Grand Prix has highlighted deep flaws within the sports governance and direction. Having said all of that, the team behind the Sky content have provided excellent coverage during their tenure. They can offer F1 fans the most comprehensive insight, cover all of the sessions and provide a dedicated channel to promote the sport in the best light. Time will tell if pay-per-view is the right direction for F1.